Matteo in April Participated at the video shooting of VFL in the DaBoot Super park. 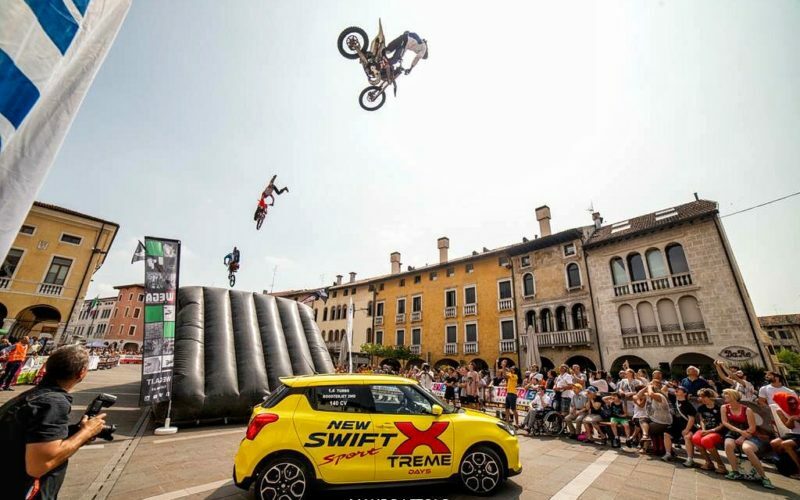 In May, he rode in the Shopping Center of Fiume Veneto where he jumped in bit shows and mototerapia. The week after also he performed in the Mototerapia of Varazze organised by Vanni Oddera. By the end of the month he moved to Almenno san Salvatore (bergamo) where with his team mates they put on various shows and once again another mototerapia during the day. 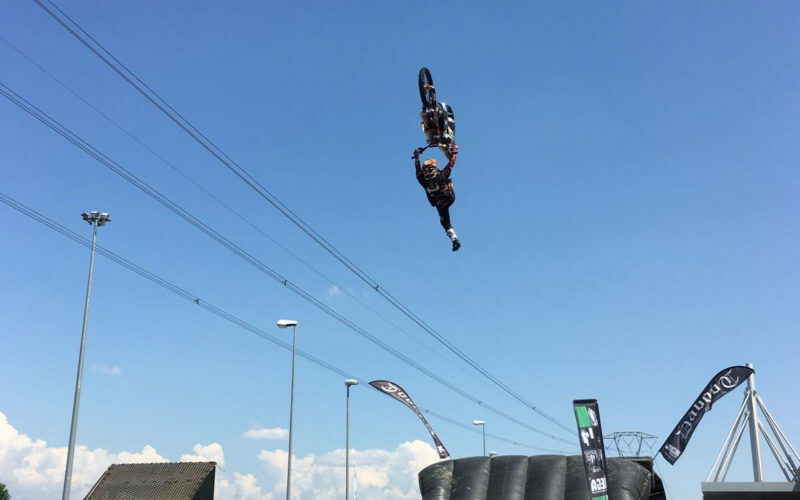 In Jun he moved once a gain near his home town, at the Xtreme Days in Sacile (PN), a huge event dedicated to extreme sports that took place in the city centre with an affluence of more then 50.000 people. Shorty after in his actual home town Ponte nelle Alpi (BL) Matteo as well as Alvaro Dal Farra and Andrea Bof, had there machines on display at the “BIG VOLLEY BAR” a charity event dedicated in memory of a fellow countryman, many where happy to be able to take a photo and a poster from them. Still in Belluno Matteo joined a 3 day project dedicated at a summer camp in “cassation”, the first day consisted in a lesson in class with the team and the bike, the second day they moved to Alvaro’s Foam pit to watch a training session, in the third and last day they went to the “DaBooty superpark ” to watch a “dirt session”. The Last Event Hi participated in was the mototerapia at the RSA di Cusighe (BL) a centre for disabled Kids theta had organised a summer party in their garden, where the kid managed to have a few hours of fun and bikes with Matteo and two noter riders.